Brotherhood Mutual Insurance Company works exclusively with Christian ministries. Besides property and liability, mission travel, vehicle, and workers’ compensation insurance programs, the company also offers risk management and ministry payroll services, as well as numerous free website resources. In addition, A M Best, the insurance rating company, has consistently awarded the company an A (Excellent) rating. When our churches practice good risk management, they provide a safer place for members to worship, resulting in few losses. When that happens, Brotherhood Mutual gives our denominational office a Safe Ministry Reward payment. We have found the agents that support our insurance program to be very knowledgeable and helpful, as well as spiritually interested in church ministries. 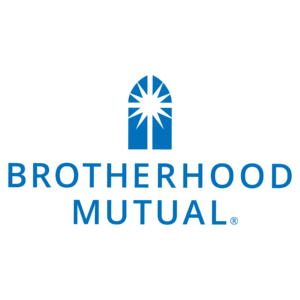 Brotherhood Mutual is represented by independent agents who subscribe to a code of ethics based on scriptural principles. I understand that many of them also serve in churches and ministries of their own, so they have a good understanding of ministry activities and the potential risks involved. If you want more information about Brotherhood Mutual and the many services the company offers, you can find it at www.brotherhoodmutual.com, or contact Select Church Insurance Services at (630) 379-0123.